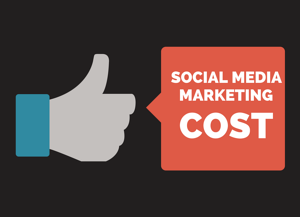 Why should you bother outsourcing your social media marketing? I’m sure you have people on your team who are more than capable of posting pictures and videos on your social channels. Hiring a social media marketing agency is an investment that comes with regular and consistent social media posting. The difference between working with an agency and doing it yourself is the strategy and research you get from social media experts. At Laire Group, our team spends time learning about your business and researching your ideal audience. This informs our strategy of what gets posted and where it gets posted. For example, there’s no need to post on Instagram when your ideal customers aren’t using that platform. So, how much does it all cost? Well, it depends. In our experience, a social media retainer for a small business ranges from $500 to $3,500 a month. Let’s dive into what you get for an investment in your social media efforts. Small businesses can make a big impact on the correct social media platforms. You can drive traffic to your website, promote your brand and interact with your ideal customers. Posting just for the sake of posting is a waste of time. An agency can put strategy behind each post to deliver the best results. I can’t speak for other agencies, but I can give you a general idea of what we do for our clients. Setting goals at the start of a social media engagement will focus all efforts. Researching your ideal clients informs the agency which social media platforms are best to use. The agency performs an analysis on what your competitors are doing. 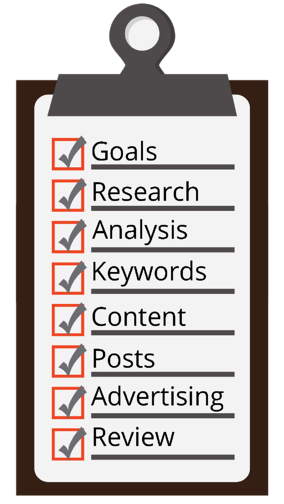 Keyword research informs the language used in hashtags and posts. Content is optimized for every social media platform. For example, making sure Twitter posts aren't more than 280 characters. The agency consistently and reliably posts across all relevant channels. If you’re interested in running ads, the agency can manage your social media advertisement budget and strategy. Regularly reviewing the agency’s work shines a light on what is and what isn’t working. Check out these other blogs for Facebook, LinkedIn and Instagram marketing tips. What's the Deal with Instagram Business Accounts? Is Social Media Marketing Enough? For some of our clients, yes. It really depends on your business and your goals. If you want your business or yourself to be an influencer with a strong social media presence, this type of engagement is an option for you. If you’re expecting to generate leads, you’ll likely need a more robust retainer. This set up typically involves work with your website, original content and downloadable offers. If you’d like to talk to us about what type of marketing strategy is best for you, let us know. We’re happy to steer you in the right direction.